When Duotraq first met the UK Charity Row team and heard about their epic journey, we realised that it wasn’t just the rowing that would be a challenge. Trying to track a slow moving vessel at sea, for 100 days, without any power would also be a test for tracking technology. Fortunately, finding tracking solutions for challenging situations is our speciality! The system that we have put together for UK Charity Row will use a DQ52 solar-powered unit for the boat, with DQ30 handsets for the crew & support vehicle. The solar boat tracker uses its own built-in solar panel, which provides several months autonomy. However, for this journey, the unit can draw additional power from the boat’s onboard solar panel, allowing the tracker to report the UK Charity Row team’s position at more frequent tracking intervals. When the boat is moving, it logs a position every minute & uploads to our secure server every 10 minutes. This not only provides a very accurate track on the map, but will also give trip data such as distance travelled, speed & heading. Other vital telemetry information, such as battery levels & temperature, is updated with every logged position, and helps the support team to ensure that everything’s working correctly. 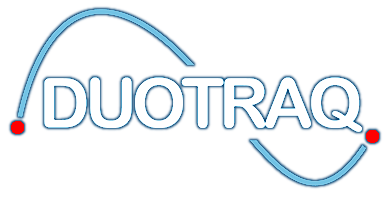 One of the benefits of the Duotraq tracking platform is that all devices are visible on the same map & easily viewed on any internet-enabled device. This makes co-ordination between the boat crew & support vehicle much easier, as they can use their DQ30 handsets to send ‘SOS’ or ‘Waypoint’ co-ordinates to each other. All the trackers use GPRS cellular technology to communicate, with Duotraq’s unique system which improves connectivity in coastal areas by logging on to the strongest mobile network automatically. In the UK, this means all five networks are covered. UK Charity Row set off on their 2,500 mile journey on Saturday 2nd May – look out for them as they make their way around the UK Coast. To donate text “UKRO99 £10” to 70070 or via the website. Good luck guys – we’ll be with you all the way!